Allergens in cosmetics have been an issue of growing concern. 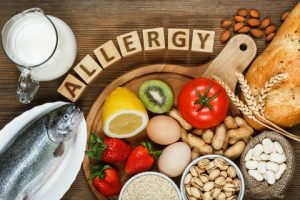 Food product regulations require the disclosure of certain allergens, even if only that the facility makes other products with the allergens in them (e.g., “this product was made in a facility that puts peanuts in other products”). Cosmetics don’t have those requirements. Concern for consumers has prompted many handcrafters to include a notice when tree nut oils or other potential allergens are included in their products, but it is not required. The survey is not live – there are a number of steps that have to be undertaken in order to get approval. They are required to announce and get public comments on any “collection of information.” They must also get approval from the Office of Management and Budget. The Docket number assigned is FDA-2018-N-3442. Both the collection of information and the survey itself are open to public comment for 60 days (closing January 7, 2019). The last survey of this kind was undertaken in 1975 – over 40 years ago. As the FDA notes in the background information for the survey, both the cosmetic industry and consumer view of the industry have changed in the last 40 years. People – from infants to geriatics – are using more cosmetic products AND the incidence of allergies is on the rise. While the FDA has a publicly available adverse reaction reporting system, they feel that not all adverse reactions are being reported. (I would tend to agree there!) So they are looking for more current information. The survey contains typical questions covering where and how often cosmetics are purchased. There are also expected questions asking if there has been an allergic reaction, and if so what the reaction was, how bad it was and who they reported it to. Those certainly are the buzz words of the day! I wonder how many people really do buy based on those words on the label. Hmmm. There are several questions about whether consumers check the expiration date before purchasing, and if they continue to use a product after its expiration date (and if so, for how long). Expiration dates currently aren’t required on cosmetic products, although they are part of good manufacturing practices. These seem to be the most common reported allergens used in cosmetics. Some of them are very commonly used in handcrafted cosmetic products. These are the same 26 allergens that must be identified on the label2 of cosmetic products sold in the European Union. This page shows all the items in the list and what products or essential oils they may be found in. You won’t see any immediate changes in product or labeling requirements. However, it does look like the FDA is taking the first steps necessary toward addressing allergens in cosmetic products. The FDA has a lot of hoops to jump through before any existing regulations can be changed or new regulations implemented. If they do decide, after this survey, that regulatory updates are needed it could be several years before any changes are fully in effect, and public comment will be solicited at several points along the way. It won’t be a big surprise, if it happens. Regardless of any actions taken by the FDA, allergens in your handcrafted products could be an issue to your customers. Become educated. Know what you are putting in your products and how it may affect your customers, especially those in at-risk groups. Avoid known allergens where possible, and – where you can – make any allergens known. The more you can ensure that you customers have a good experience with your products, the more customers you are likely to attract and the more loyal they will be. 2. ↑ They must be listed on the label if they are present at more than .01% in wash-off products or .001% in leave-on products. Thank you for the update Marie!